In today’s fast-moving business world, communication and collaboration within teams of people is the key to your business' success. That's why Microsoft Teams is replacing Skype for Business as the primary communication and collaboration platform for Microsoft. This change will impact impacts how business users manage their work, including messaging, calling, sharing, etc. So how can you leverage Teams for success in your business? Learn more from Tolar Systems. So how can you leverage Teams for success in your business? If you haven’t heard about Microsoft Teams, it is a platform that combines workplace chat, meetings, notes and attachments. The service integrates with a business’ Office 365 subscription office productivity suite. This hub approach allows companies to integrate all the people, content and tools needed to be engaged and more effective. The platform allows for online meetings, the ability to make calls, and even communicates across devices. The simplest way to use Microsoft Teams is by setting up group chat rooms, called channels, for each of your internal teams: marketing, sales, operations, accounting, etc. As with apps like Slack, multiple channels can be created within each team to keep conversations separate. If the conversation requires face-to-face discussion, Skype voice or video chats can be used; it's integrated within the Teams platform. Microsoft Teams is also integrated with Office 365, which means it is tied to other Microsoft Office services. That means your team also has access to Word and Excel, and cloud storage and sharing services like SharePoint. Microsoft Teams also integrates with PowerPoint, OneNote, Planner, Power BI and Delve. This integration allows team members instant access to the most recent versions of documents, spreadsheets and presentations, allowing for collaborative editing of this shared content. Team channels can also connect to outside services through the Connectors feature. Those Connectors push updates from applications like GitHub, Zendesk, MailChimp, SAP SuccessFactors and Salesforce to team channels. Microsoft Teams can connect with more than 70 Connectors and 85 Bots, which can participate in conversations. All team channels have access to T-Bot, which answers simple questions about Microsoft Teams. Connect teams and groups. If you have an existing group within Microsoft Teams, be sure to connect the team and group during set up. Any time you need to bring people together, the groups service within Teams provides that capability. When creating teams within Microsoft Teams, you can also automatically create a group. If you opt not to connect a team to your existing group, you will have two groups with different group IDs. Isolate projects. Every time you start a new project, create a new team. This will allow you to isolate your projects so that only the team members and documents you need will be available to the group. 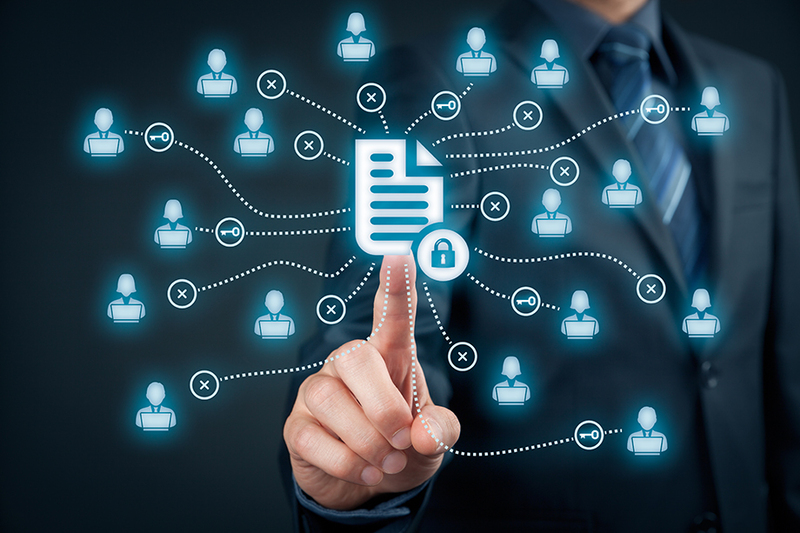 This benefits your team by preventing people who are not involved with a specific project from receiving communications that don't relate to them, and makes it easier to find and organize documents. Use channels. Plan with your team to identify some channels to get you started. For instance, a small marketing team would need a marketing channel; if you have a large marketing team, you might need a few channels, such as a content channel, a graphic design channel or a website channel. Team channels allow you to focus conversations and can help organize your team’s documents library. Each channel has a files tab that creates a folder in your team’s documents library in the SharePoint team site. Your employees should decide how to work together and organize team assets. Channels are a flexible tool that can evolve as your employees need. Use @ mentions. In Microsoft Teams, you can "at-mention" people to draw their attention to a conversation. This is a familiar feature to users of social media and platforms like Slack or Asana. The @ mentioned person will receive a notification that they've been invited to participate in the conversation. This feature makes it easy to loop people into a discussion when you need their involvement. Understand the differences between Teams and Sharepoint. There are significant differences in the user experience between Microsoft Teams versus SharePoint. For instance, if your employees have been using SharePoint, they know that Sharepoint files are not organized using folders, they're organized using tags or metadata. However, this is not the case in Microsoft Teams, which organizes files visually into folders. So, when using Teams and Sharepoint, you will use Sharepoint to collect and store the documents in your document library, organizing them using tags or metadata; in Teams, these documents are organized in folders or subfolders in the documents library that corresponds with your team’s channel. In Teams, each time you create a new channel, a new folder is automatically created with the same name where your documents will reside. Microsoft Teams is a great tool for helping your business communicate and collaborate. Contact Tolar Systems today to learn more about how to leverage Microsoft Teams for your business.